There’s nothing quite as exciting as a list of debutants. Why? They are the future! They’re the ones upon whom all eyes are on. They’re the ones that even make the top heroes feel a bit shakey on their high pedestals. And so it’s time to congratulate and appreciate top 5 male debutants of the year who are now set to post some real threat to our superstars! Vishal Bhardwaj may have not gotten everything right with 7 Khoon Maaf but he certainly had a perfect cast in place. 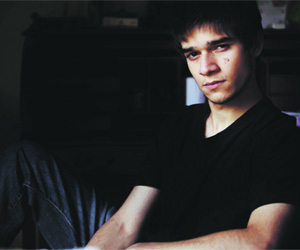 Thanks to him we have a #5 debutant of this list, Vivaan Shah, who just blew us away with portrayal of the grieving Arun whose love for a woman was never realised. The star kid left no doubt in the minds of audiences that he got his debut solely based on talent and name. Welcome to Bollywood Mr. Shah, you’re here to stay! And at #4 spot we have Luv Nanda aka Taaha Shah. This first outing of Y-Films didn’t really impress the audiences but like our #5 newcomer, Taaha managed to shine despite having been encompassed in quite a disaster of a film. He may have played a jerk but he did so oh-so-perfectly! Here’s hoping for more promising films in the future for this promising actor. Out Hottie-Baddie of the Year, Vidyut Jamwal, lands at #3 for his dynamite performance in the Tamil remake of Kaakha Kaakha, Force. A confident debut ought to be applauded especially when it is in such an unconventional role. Critics and audiences praised him alike for his talent. Here’s hoping that he doesn’t get type casted in stylist-villainous roles and gets to show off his talent. 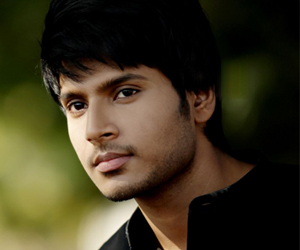 Ekta Kapoor’s blue-eyed boy Sundeep Kishan arrives at the #2 slot for his portrayal of dreamer Sawan and his trial and tribulation in the chaotic city that is Mumbai. Sundeep ended up making quite the amount of ‘shor’ with his confident debut. A bright future and some exciting projects are in the horizon for this fine actor, here’s hoping he makes a swift transit to another Top 5 list next year! 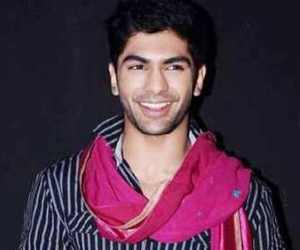 A popular critic very correctly put a title on Saqib whilst reviewing his debuting film, Mujhse Fraaandship Karoge, and that was of the ‘find of the year’. At that time it wasn’t a finalised title as many more debutants were to come. However now that 2011 has officially wrapped up Saqib continues to hold onto that title and stands in our #1 spot in style! The actor was a true entertainer on screen in every way! You laughed with him, cried with him, yelled at him and cheered him on. 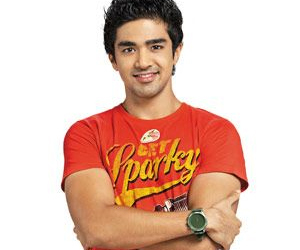 He made Vishal a character that you took home with you and remembered long after the movie concluded. And so for all the reasons listed above we get great pleasure in announcing him as indeed the Find of the Year and our Male Debutant of the Year 2011! We can of course not wrap up without our special mentions and for this list we have just one, Rana Daggubatti for his performance in Rohan Sippy’s Dum Maaro Dum – a confident debut that got the nod from critics and audiences. And so with that we wrap up the year for our male debutants who are now off to venture into the depths of Bollywood in hopes of being titled more than just a ‘promising debutant’. 17 queries in 0.517 seconds.